Cozy Up To This Turkey Chili! This is my go-to dish on cold days, and it makes so much that I can save it to have on busy days throughout the week. 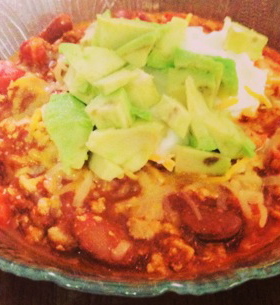 This lean chili skimps on fat while filling you up with healthy protein! Additionally, this chili supplies a ton of vegetables, including onion, pepper and tomato, along with protein and fiber-rich beans. Rich in beta carotene (which our body can convert to vitamin A), vitamin C and potassium, this cozy comfort food will become your new winter (or spring – if the weather stays this cold!) favorite. 1. Warm oil in large pot over medium heat. Add chopped onion and pepper and cook approximately 8-10 minutes, until softened. 2. Add the turkey meat and stir occasionally until the meat is cooked through, about 20 minutes. Add the garlic and cook another 2-3 minutes. 3. Add the crushed tomatoes, tomato sauce, kidney beans, hot sauce, sugar and spices ( chili powder, garlic powder, onion powder, salt and pepper). Bring everything to a boil and let boil about 10 minutes. Reduce heat and simmer covered for about 1 hour. Enjoy! 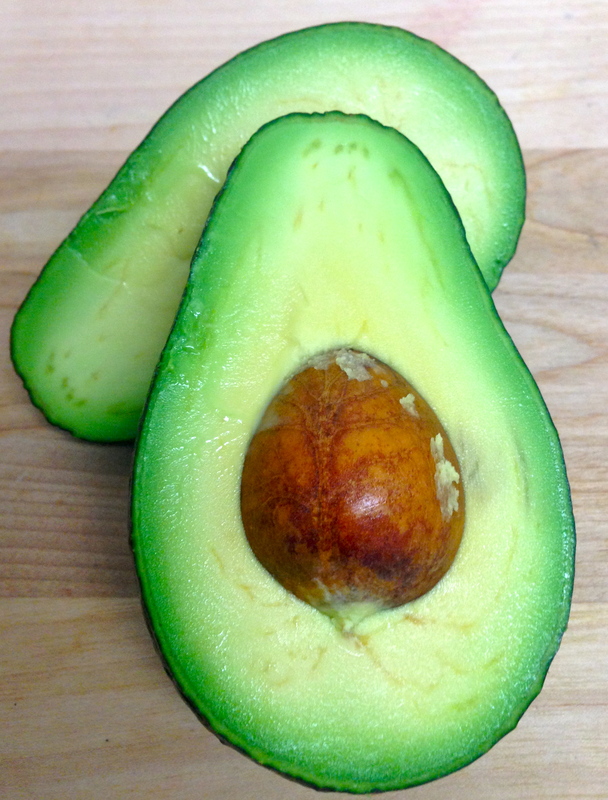 I came up with this recipe as a part of my dietetic internship rotation in order to promote avocados (as if they need any extra promotion – I think they are having a moment right now). 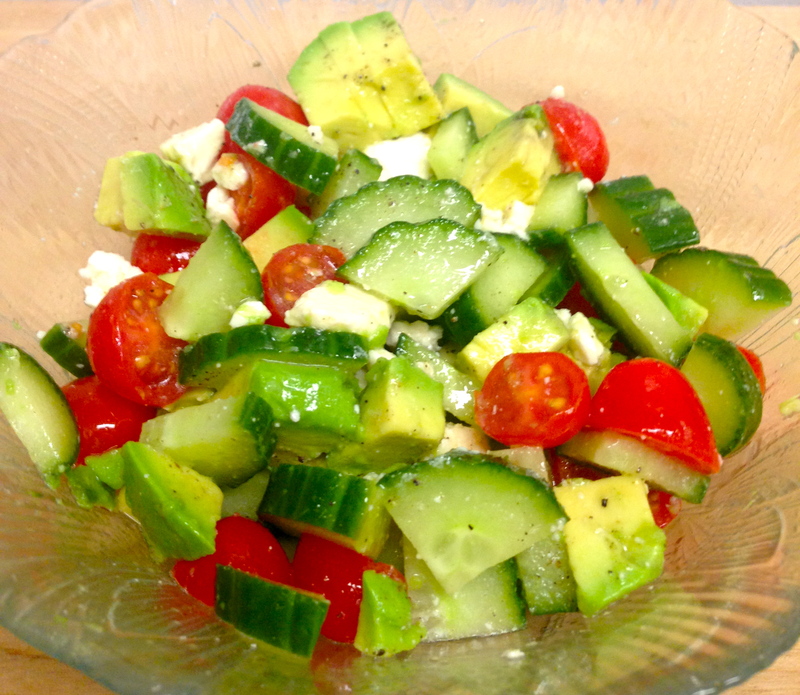 But, this recipe is so simple and delicious that I had to share it! 1. Combine all ingredients. How simple is that?! This veggie bowl is loaded with vitamins and minerals, such as beta-carotene (which our bodies convert to vitamin A), vitamin C, calcium and folate, while also offering fiber, protein, healthy fats and a spicy kick! And the best part? It takes less than 20 minutes to prepare. This is my new go-to dish for busy weeknights! Almost ready – now just top with egg and hot sauce! 1. Warm oil in medium-sized saucepan over medium heat. Add onion and cook until softened, about 5 minutes, stirring occasionally. 2. Steam carrots (you can do this by covering them in a bowl and placing in the microwave for about 1 minute, or steaming them over the stovetop). 3. Add tofu to onions in saucepan. Add spices and mix all ingredients together. Cook until tofu is slightly browned, about 5 minutes. Add 2 Tbsp hot sauce, stir ingredients together and cook another 1-2 minutes. 4. Spray small pan with nonstick vegetable oil cooking spray and warm over medium heat. Crack egg into pan and sprinkle with dash of pepper. Cover with a plate and cook until egg white is cooked, leaving the yolk slightly runny (about 3-5 minutes). Set aside. 5. Add spinach to saucepan with onion and tofu and stir 2-3 minutes, until spinach is wilted. 6. Place rice in bowl. 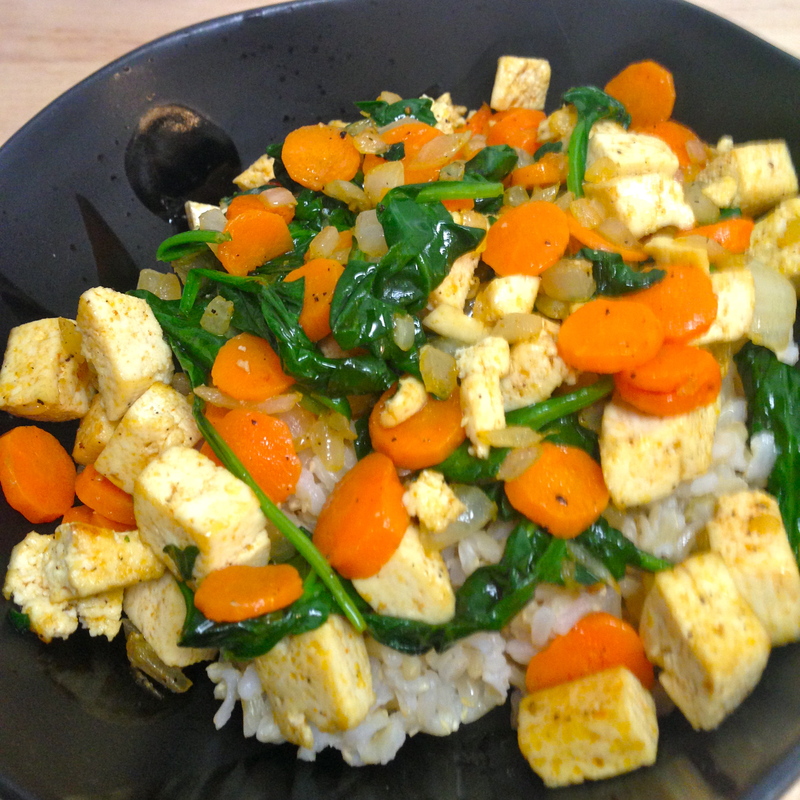 Top with tofu and vegetables. 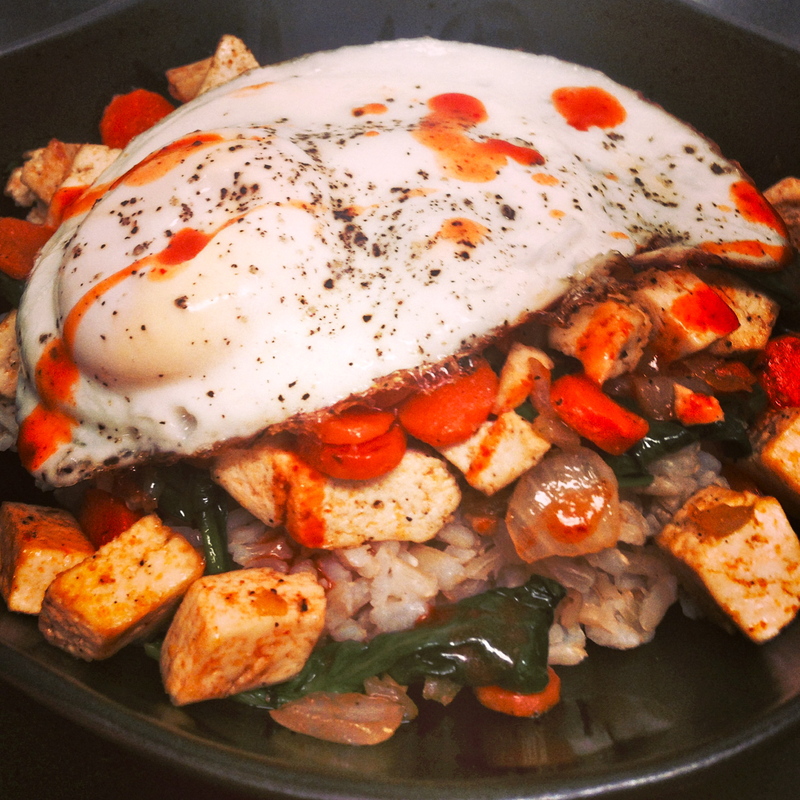 Add egg to bowl and drizzle remaining 1 Tbsp hot sauce over entire dish. Enjoy!